David is an adjunct faculty member at Pardes. He is the Director of Education, Europe for the American Jewish Joint Distribution Committee. David holds a B.A. and Teachers’ Certification in English Literature and Jewish Thought from the Hebrew University of Jerusalem. He himself attended Pardes as a student. Following that he spent a number of years in yeshiva and received rabbinic ordination from the Joseph and Gwendolyn Straus Rabbinical Seminary. Previous to working at Pardes, David served as the director of the overseas department at the Melitz Centers for Jewish Zionist Education. He also taught on a number of year long programs including Young Judea and Otzma. 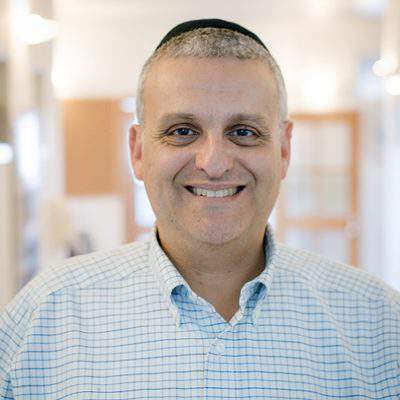 David spent four years in the United Kingdom where he served as the community director and family educator of Stanmore and Canons Park Synagogue, in northwest London, the largest orthodox synagogue in Europe. David hails from South Africa, loves cooking in his spare time and sees himself as a bridge between Jewish heritage and those seeking to connect or reconnect to that tradition. David founded and directs “My Open Book Life Coaching” which uses general and Jewish texts as well as life coaching techniques to achieve personal breakthroughs. He is married and the proud father of three boys. Online learning: Click here to view online learning material from David on Elmad, online learning powered by Pardes.